Magento 2 DevOps CI/CD Docker Integration: Magento 2 DevOps integration is essential for any scalable webshop. We have invested huge number of hours in integrating AWS cloud, Jenkins, Docker, reverse proxies like Varnish/Nginx and complete DevOps management. Magento 2 DevOps includes all those essential service packages to build better IAAS (Infrastructure as a Service). Complete platform based on AWS/Google/Azure Cloud architecture. Deployment of the application code, database, and quality assurance script. Complete Jenkins integration with your source code management. Various containers deployment using docker. Various software bundle inclusion in docker container like - Nginx and Varnish. Automated shell script for the docker automation. DevOps is a term that aims at unifying software development(Dev) and software operations(Ops). It recommends automation and monitoring at all the steps of software construction from integration, testing, quality assurance, and releasing to deployment. 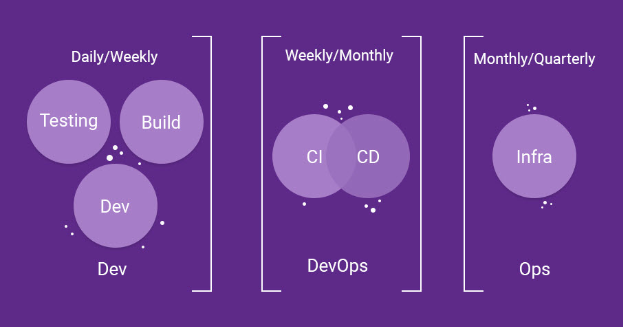 DevOps delivers shorter development cycles, dependable releases, with an increase in the deployment frequency, in alignment with the business objectives. The main problem that is being faced is moving the complete application code from the developer end to the production environment. This however include many other sub-entities like - the builds, manual deployments, lack of uniformity, different operating systems, slowness, different environments, and security. 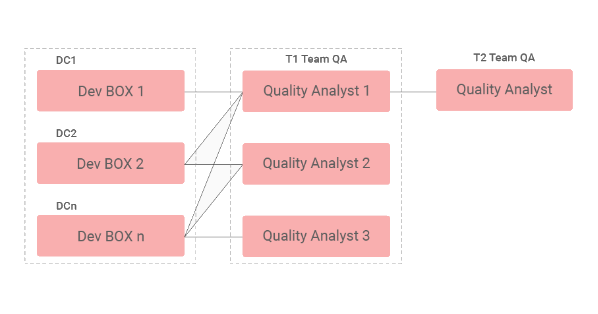 In the continuous integration, the developers and the quality analysts(testers) collaboratively validate the source code. Previously, the developers would write the code and then would get it integrated once a month for testing. This was inefficient in a way that if - a mistake in the code from four weeks ago could force the developers to revise code written one week ago. So to overcome that problem, continuous integration depends on automation to integrate and test the code continuously. It is a continuous process of creating the releasable artifacts. In fact, most of the companies release to users once or even multiple times a day while others release the software at a slower pace for market reasons. Anyway, the ability to release is tested continuously. Continuous deployment is possible due to the cloud environments that are available these days which allow you deploy to production without shutting down and manually updating the servers. Thus, CI/CD is a continuous process which includes development, testing, and delivery of source code. When you have a small web shop that might be using a shared, VPS, or a dedicated server it's easy to manage things out. But with time, when your website starts to expand, things start to get a bit more complex and difficult to manage. 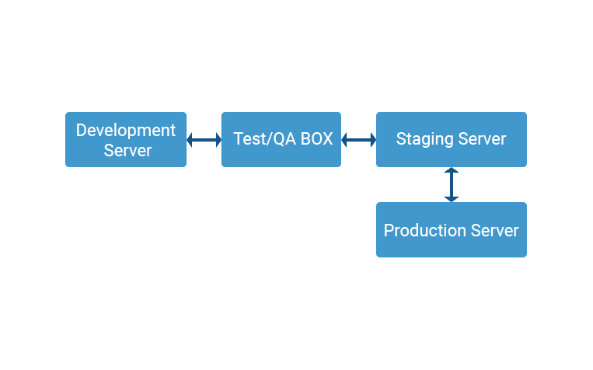 A basic setup for software development typically involves a development server on which the developer codes, a test/staging server for testing the application code, and a production server where the application goes live. Consider that at a time multiple developers are working simultaneously on the development server and these development servers are in tandem with the testing server which is continuously interacting with each other. After the code gets tested, the application is deployed to the pre-production environment and then made live. This is surely a time taking process for the deployment of an application. Now, when your website grows big, the processes become even more complex to handle as is the case with the hardware that is needed to support this. The approach that can be taken up to solve this includes that all of the required components should be placed in a container and that container be placed in the docker. This allows ease of portability and the code can be deployed anywhere using the docker. Jenkins CI/CD tool is used to automate all the processes that are going within the docker. Jobs are created within the container that allows the code to be placed at their respective place without the interference of a manual process. All of this process that includes the continuous build, test, and deployment of the software is collectively called as the Continuous Integration/Continuous Deployment. Did you buy Magento 2 DevOps CI/CD Docker Integration?